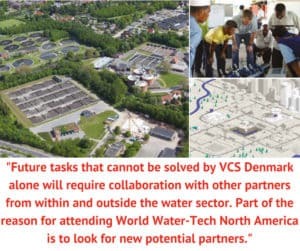 VCS Denmark (VandCenter Syd Denmark) is widely considered to be among the most forward-thinking, innovative and technologically advanced water utilities in the world. 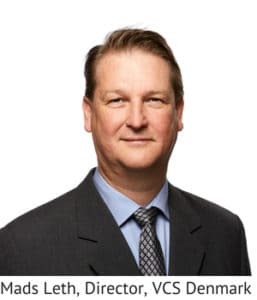 We caught up with its Director, Mads Leth, who joins the Fostering Innovation: Accelerating Adoption and Reducing Risk for Utilities panel at World Water-Tech North America 2018 in Toronto this October on Day 1. Why do you think the culture at VCS Denmark has created such a hot bed of innovation? What makes you different? “Vision from the Top” – VCS Denmark has a bold vision for the company and sets challenging and measurable targets for its team to achieve. “In ‘Your Team’ We Trust” – VCS Denmark management understands that the person ‘closest to the action’ has the best chance of making the right decision and this is why operations staff have key leadership roles and input throughout the innovation processes. “Have No Fear!” – With trust in operations staff established from management and without fear of retribution for missteps, operations staff take bold actions to achieve the stated goals. “Collaborate from Within and Without” – Teamwork is the hallmark of Danish society, and this collaborative environment within VCS Denmark includes engineering, operations, and support staff working together. In addition, VCS Denmark broke away from the more traditional Danish approach of being rather insular in their approaches (i.e. keeping things within country), by hiring an outside consultant and collaborating with American universities and technology providers outside of the country. “Celebrate Failure?! ?” – While no one truly “celebrates” not achieving a goal, at VCS Denmark, such incidents are seen more as a way to learn what works and what doesn’t work. This attitude allows course corrections to be taken and dead ends to be backed away from, without fear of punishment. Can you share some examples of the collaborations with US universities and tech providers? VCS Denmark has been and is still involved in research projects with partners through WE&RF. One example is the project “Balancing Flocs and Granules for Activated Sludge Process Intensification in Plug Flow Configurations”. This project was led by Kansas University and included partners from Europe (including Strass, Austria and VCS Denmark) and the US. 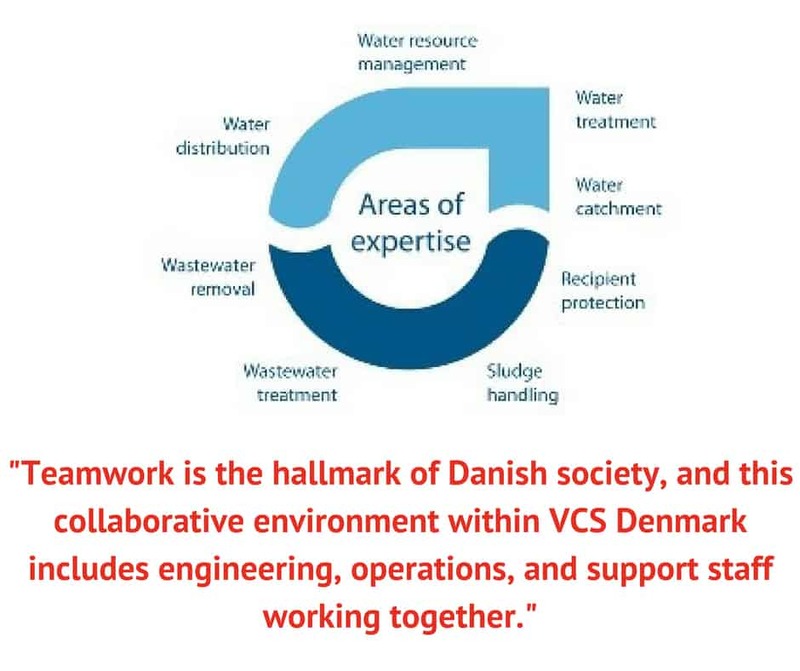 VCS Denmark also collaborates with Colombia University on DNA sequencing and mapping of microbial populations in activated sludge and sludge from side-stream treatment processes. Several ongoing projects include US partner such as Black & Veatch and Jacobs. VCS Denmark collaborates with AlexRenew, Virginia, USA. AlexRenew is, like VCS Denmark, a progressive utility. Part of this collaboration includes knowledge transfer and exchange of staff in strategical, technical and administrative subjects. What kind of partners are you looking for: utilities, investors, entrepreneurs or engineers? VCS Denmark is always open to new partners and collaborators that will help improve our business to the benefit of our customers and the environment. Current areas of interest in technical development include areas such as removal of pathogens and trace compounds from wastewater and biosolids, sludge handling, nutrient recycling, energy generation and lowering of carbon footprint. Other areas of interest include handling of climate change, digitalization and sustainable development through the support of the UN Sustainable Goals. These challenges cannot be handled by utilities alone and we need networks and projects that include utility experts, academia, tech suppliers and consultants to work together and share their knowledge and experience. Partners are not limited to the water sector. Synergies and collaboration options with other utilities such as heat and cooling, electricity, waste handling and other infrastructure exist but have not yet been explored to full benefit. What’s the most urgent/biggest challenge right now for VCS Denmark – and by extension other utilities – that you need to find solutions for? Next challenges for VCS Denmark and the Danish water sector include handling a changing environment, i.e. more extreme weather situations and ensuring clean drinking water for future generations. Another major challenge is to adopt a more sustainable business model embracing the 17 UN Sustainable Goals. 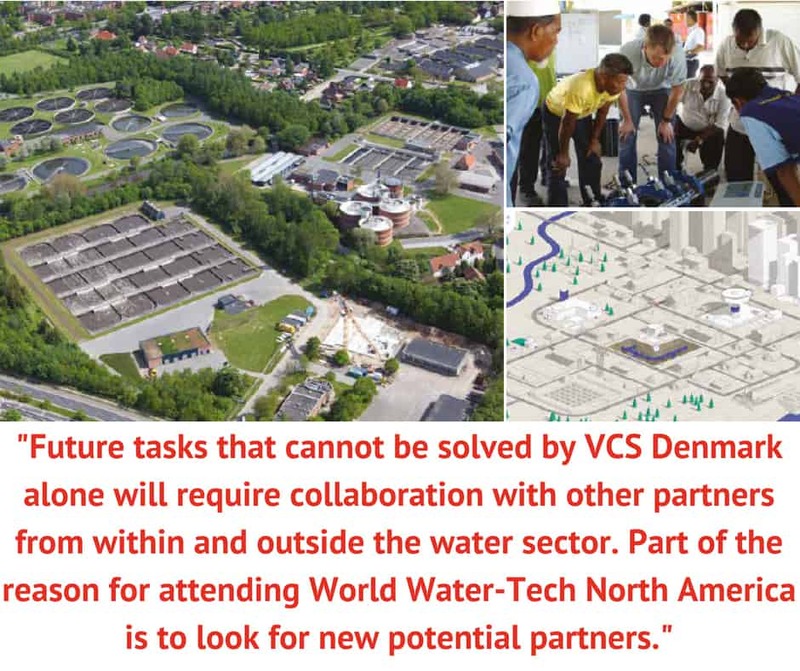 Future tasks that cannot be solved by VCS Denmark alone will require collaboration with other partners from within and outside the water sector. Part of the reason for attending World Water-Tech North America is to look for new potential partners. In a world where adequate funding can be hard to come by, how are you going about ensuring the required level of investment in innovation is met? Funding is always important. Again, we need to have a broad view of perspectives and look for other ways of collaborating, sharing knowledge in the sector and working with academia and private partners. This is why, in my opinion, public ownership of utilities is important based on a Not-For-Profit model. Finally, if you had one message to send to the North American water sector, what would it be? We’re all here for the same purpose so share your knowledge and good ideas with everyone. Mads Leth will be speaking at World Water-Tech North America on Fostering Innovation: Accelerating Adoption and Reducing Risk for Utilities at 9.15am on Wednesday October 24. To learn more about VCS Denmark, visit vcsdenmark.com.